Cystic tumors of the pancreas today are diagnosed more frequently in clinical practice, mainly due to an increased use of the modern advanced imaging modalities. Bland cysts of the pancreas most often develop after chronic or acute inflammation of the pancreas. 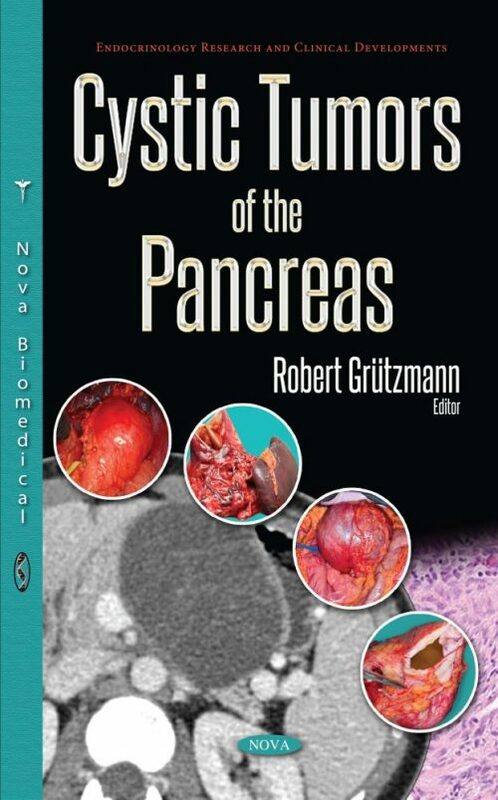 However, the current knowledge concerning the development of cystic neoplasias of the pancreas is still rudimentary. Histopathologically, 90% of pancreatic cystic neoplasias are represented by four types: serous microcystic (SCN), mucinous cystic (MCN), intraductal papillary mucinous (IPMN) and solid pseudopapillary (SPN) neoplasias. Surgical treatment of these lesions can be highly challenging and occasionally demands complex surgical approaches that should be put in the hands of skilled pancreatic surgeons in experienced high-volume centers. While some of the described cystic tumors are harmless, such as SCNs of the pancreas, others such as IPMN and MCN harbor relevant malignant potential. The differential diagnosis of these lesions is critical for the patient- but often difficult. In addition, surgical treatment, even in the hands of skilled surgeons in centers of pancreatic surgery, can be complicated and can result in relevant morbidity and mortality. Therefore, it is of great importance for all doctors treating and advising patients with cystic tumors of the pancreas, i.e. surgeons, gastroenterologists, radiologists and pathologists as well as for the general practitioner, to have funded knowledge in regard to epidemiology, pathology, diagnostics and prognosis of the various pancreatic lesions, regardless of the necessity for surgical treatment.